Ms. Clark is co-founder and CEO of Atomos Nuclear and Space Corporation, a Denver-based startup developing nuclear-powered spacecraft to provide in-space transportation services to satellites already on-orbit. With graduate degrees in aerospace engineering and management, Ms. Clark worked as a research engineer in Germany from 2011 - 2015 for Airbus Defense and Space and DLR (the German Aerospace Centre) in the fields of spacecraft propulsion and space mission design. Relocating to the US in 2015, she became a propulsion engineer and manager at Lockheed Martin in Colorado. Engaged in projects ranging from military satellites to human spaceflight, she led the design, testing, and operation of spacecraft propulsion systems for NASA and commercial customers. Prior to becoming a founder herself, Ms. Clark worked to address the perceived lack of opportunities for aspiring space entrepreneurs and to promote interdisciplinary collaboration amongst them. Two initiatives she led in Europe, “StartupWeekend Space” and “Disrupt Space,” achieved success in not only supporting space entrepreneurs and startups, but also in promoting the benefits and profitability of the sector to newcomers. 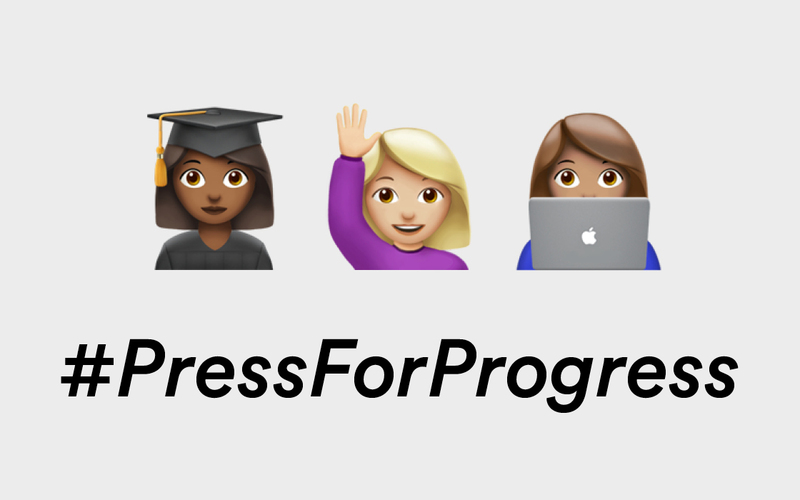 Hear from female leaders making progressive waves in your city, connect with your community, and make a personal pledge to #PressForProgress.